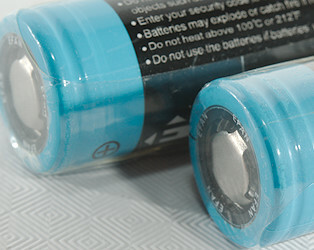 This is a 18650 battery with good capacity rated for high current. 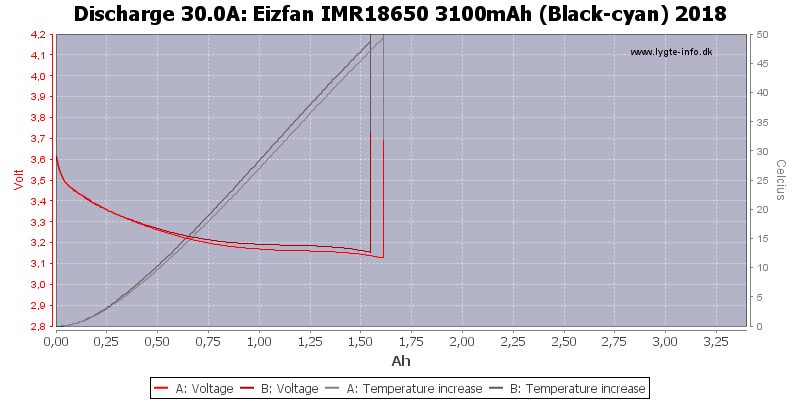 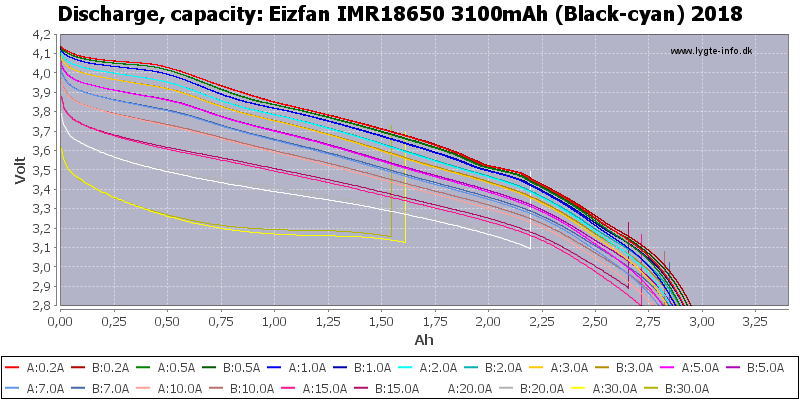 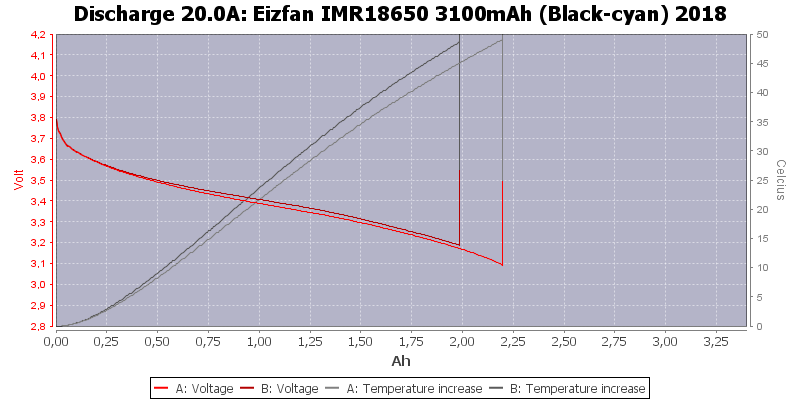 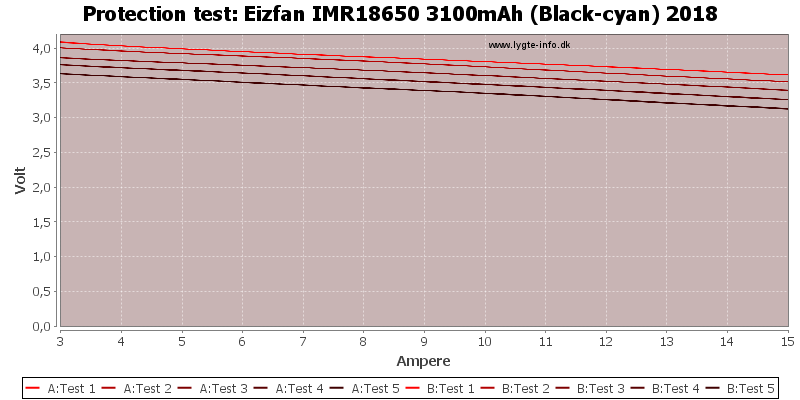 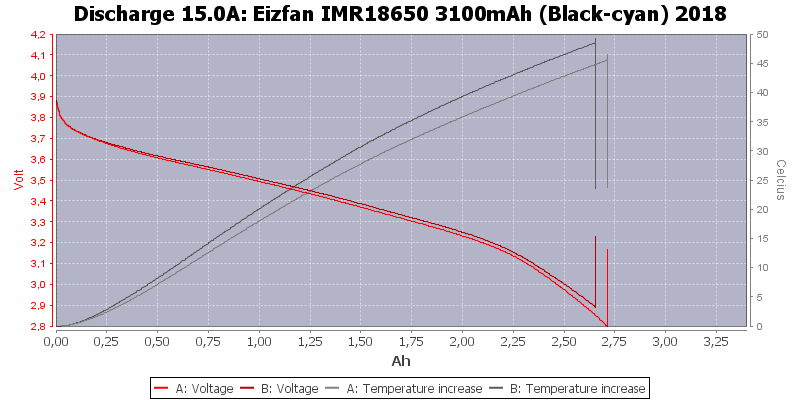 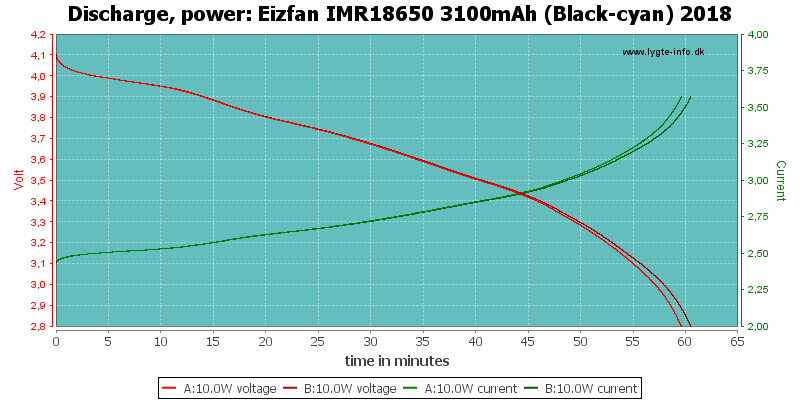 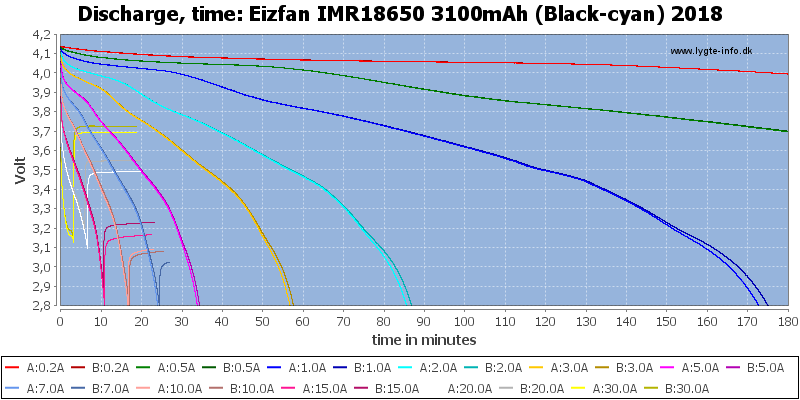 The discharge curves tracks nicely, but the battery gets fairly hot at high discharge currents. 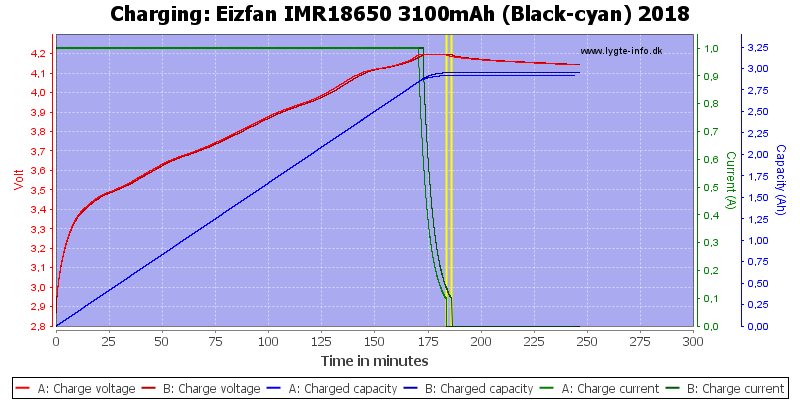 The cell has good capacity (slight below 3100mAH) and good high current ability for the capacity, but the current rating is way to optimistic. 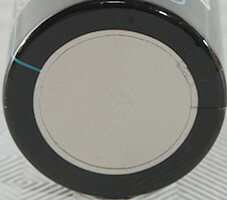 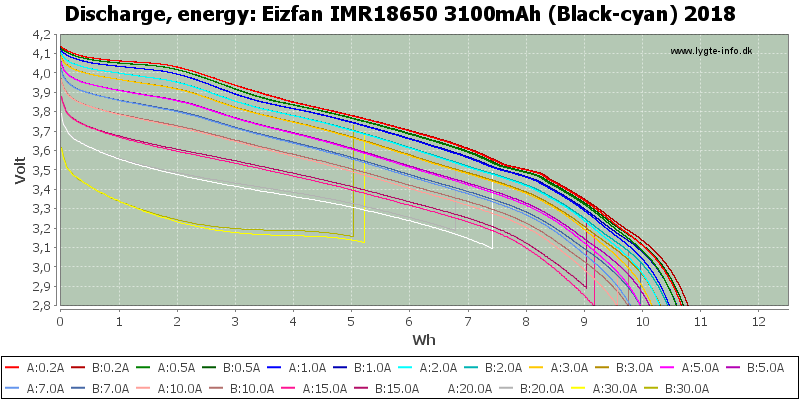 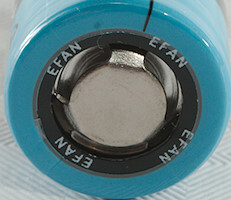 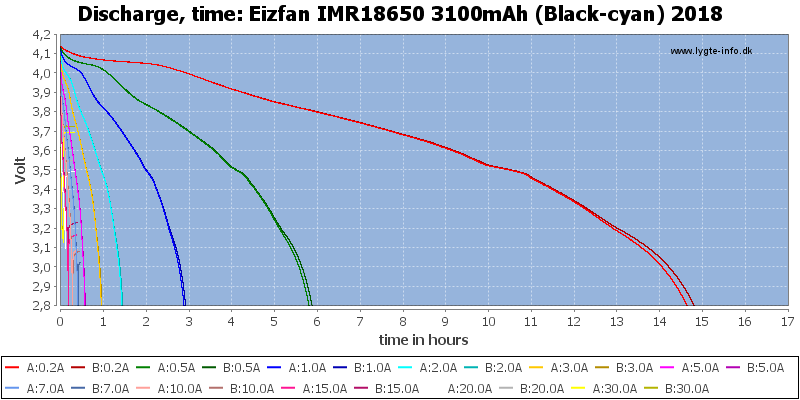 The batteries was supplied by Eizfan (Efan) for review.